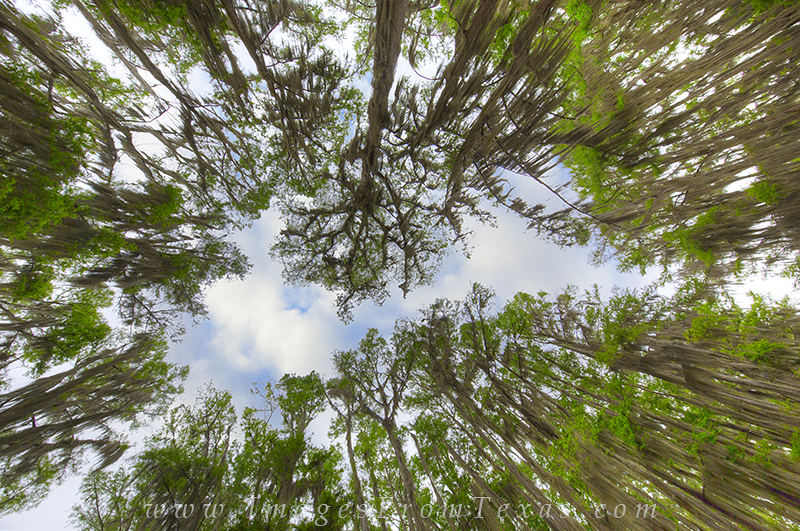 Using a wide angle lens while in a boat on my back, I shot this image looking straight up through the canopy of Cypress on a summer day. The distorition pretty noticable on the edges, but gives the viewer a view of what is is like floating through some of the bayous of Caddo Lake. The Spanish Moss seems to reach down for you and all is quiet on the murky water below. Photo © copyright by Rob Greebon.